This is Olympus Pen F/FT's Light Seals foam (backdoor gasket sponge) replace kit. usually you do not have to install this (as above image). However you find light leaks, please try to install. 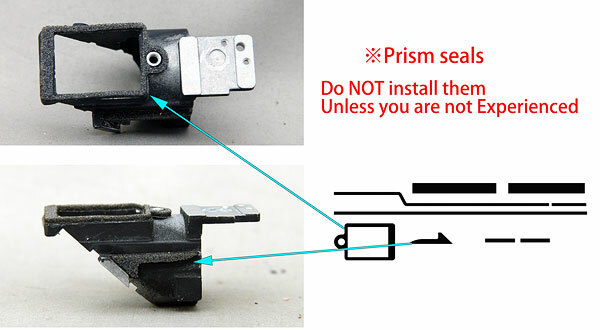 As for the prism seals, you should not install unless you are experienced. 3 foam kits are included, you do not have to worry if you waste one. This kit fit to Pen F/FT, does NOT fit to the other Pen series cameras.